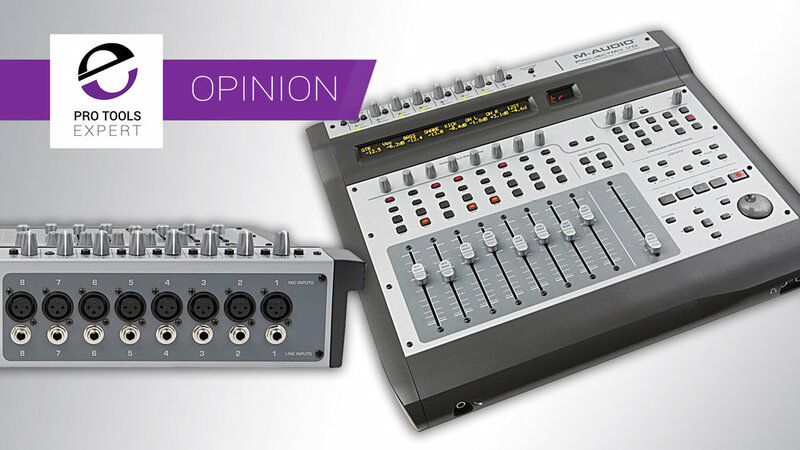 We continue our Pro Tools Expert Blast From The Past series with the M-Audio Project Mix I/O - an all in one control surface/audio interface. I owned a Project Mix for two months before returning it to the dealer as I felt it was not an able audio interface/control surface solution. To this day I still feel that this was the worst studio gear purchase I ever made. 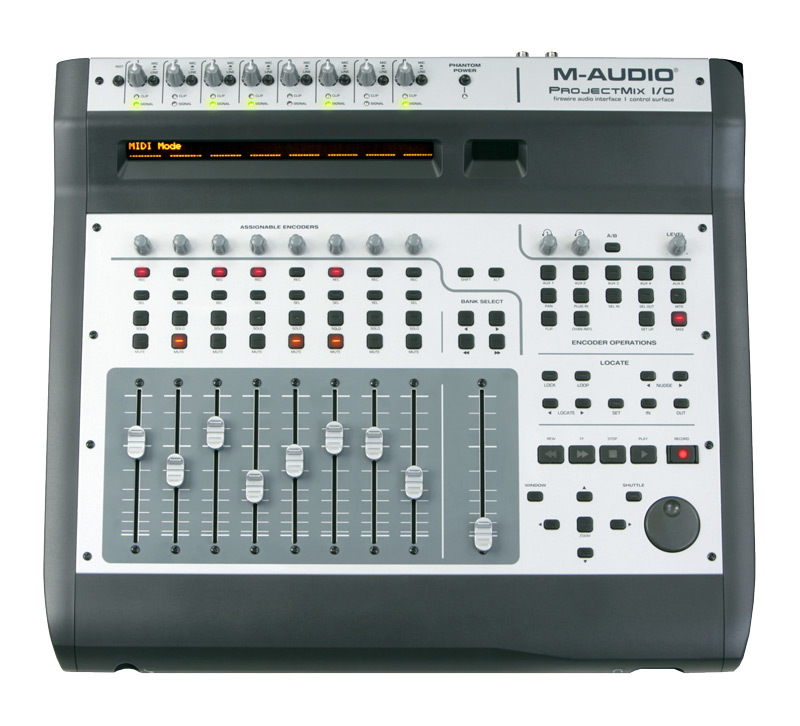 The M-Audio Project Mix I/O was released in 2006. At the time similar Pro Tools Control surfaces such as the Command 8 and Digi 002 Factory were popular but only offered control surface features in Pro Tools. The Project Mix was different as we could use it to control Logic, Ableton and Cubase as well as Pro Tools (M-Powered). Controller for Pro Tools only. Audio Interface compatible with other DAWs. On paper the Project Mix feature set appeared twice as fruitful as what was found on the Digi 002 Factory - the Project Mix also cost around half the price as well. I was absolutely sold and had to get one... so I sold my Digi 002 and purchased a Project Mix. The lesson I took from this experience was that "more" isn't always a good thing. Yes on paper the Project Mix offered more features but the quality of those features were frankly poor. The microphone pre amps clipped easily, the faders felt terrible to the touch, the headphone pre amps hissed, it would crash frequently in both Pro Tools & Logic 7 and worst of all was the latency - made tracking through it a nightmare. For all that was bad about the M-Audio Project Mix at least, in my opinion, one good thing came from it - The Digi 003 Factory. At the time Avid owned M-Audio. I strongly believe that the design and feature set on the later Digi 003 Factory were influenced by the Project Mix. The Project Mix promised so much but failed in nearly all it's basic control and usability features, shame. But in hindsight, I got what I paid for.